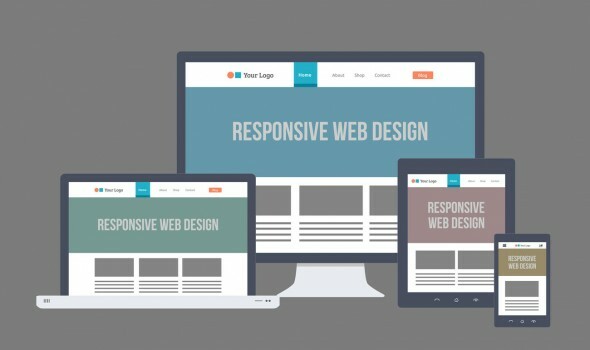 Responsive design: What is it and how it will be useful for your business? There’s no bar on the advancement of technology, neither can one fathom as to when and how it will grow; the only option for everyone is to accept the way it comes. It is easier to make complex things, whilst it is tremendously challenging to make easier things. Responsive website designing is a fully integrated marketing plan that brings growth. We are witnessing an era of revolution, era which will later define the paramount of technology subduing traditional methods. Our world has become totally dependent upon technically sound gadgets like Smartphones, laptops, tablets and computers. With each passing day, customer awareness is increasing, giving birth to queries and curiosity. As a result, we have as many searches from these gadgets in a day as we get from computers. Every website is being logged in, visited, seen and used through cell phones. Therefore, unable to deliver the same quality over a different platform will put customer’s patience at test. Users are highly volatile in nature today because of the level of available options. Unavailability will reduce customer’s interest. Organizations are elated with the benefits of responsive web designs. They are glad to see that with the growing technological developments their websites are in full compliance with the world. Today nearly every website has turned itself into a responsive one. These websites are also benefiting users as they need not confront any cumbersome event while making an online search. It is probably coming as no surprise that mobile phones have revolutionized the whole world. Today, people access more information on their mobiles than at any other medium. Even with such commanding and compelling evidence, many companies are still looking for reasons to adopt this technology. To model the need of websites, developing companies use this as one of the most appealing aspect. They offer great user experience. They do not break, the title fits perfectly, the image does not move out of the box and website adjusts itself according to the size of the screen. This is an important characteristic. A site that works well regardless of variables, it makes it more open to being used by customers. Responsive web designers enable you with the power to connect. No wonder, digital media has aggrandized the elements of approachability. Unlike gone days where one on one conversation was considered to be the best, today a company can hit even the remotest areas of the world with equal competence. The idea is that if you are selling a product, you have to consider this whole world as a platform to sell. With globalization in hand and increased purchasing power responsiveness is taking a toll over other marketing strategies. Thence, not being responsive can be a recipe of disaster.